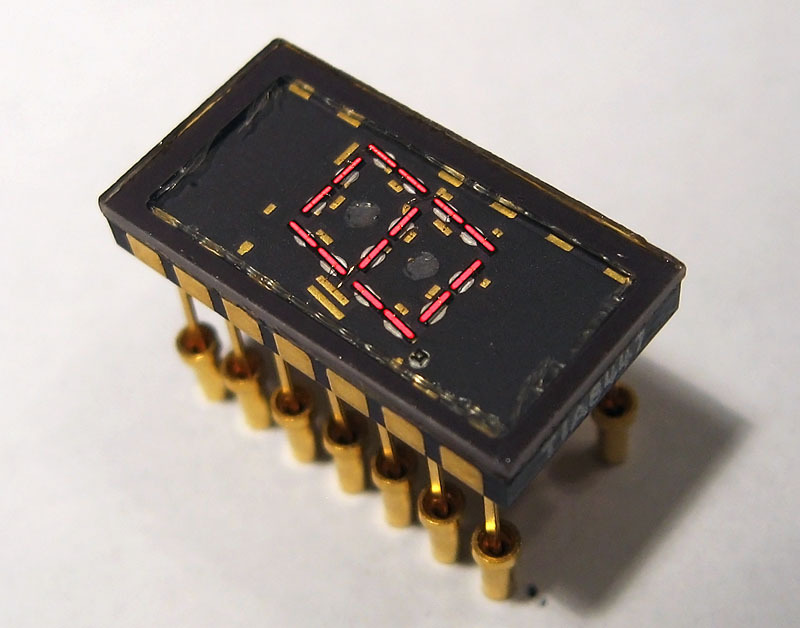 The TIA8447 is a nearly modern incarnation of Texas Instruments' backbone TIL302 seven segment display. The TIA8447 features a ruggedized package with a hermetically sealed glass-and-ceramic carrier and gold leads. The unit is a 'dumb' display; it contains no driver circuitry and all such functions must be supplied with external logic. 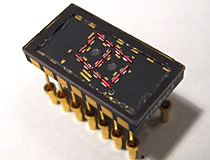 The TIA8447 has identical pinouts to the TIL302, making it a drop-in replacement. 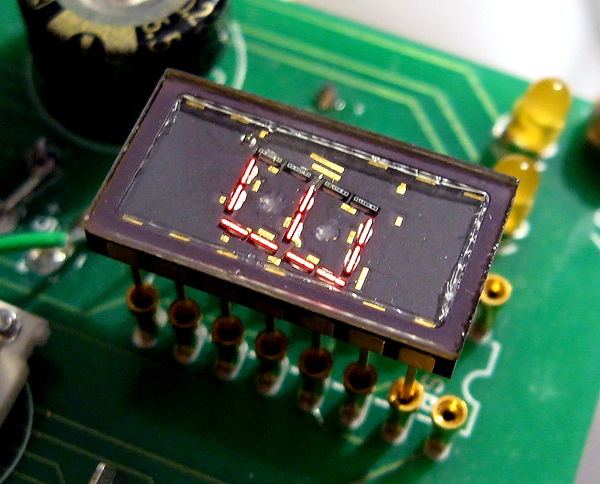 Texas Instruments TIA8447 LED display, normal operation. The TIA8447 has the same pinouts as the Monsanto MAN1 and TIL302 and can be used interchangeably with these parts.